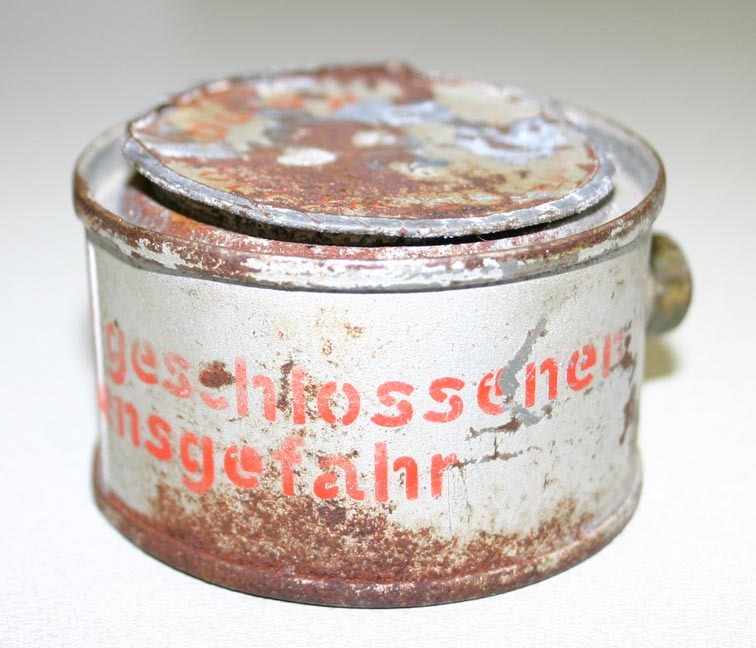 This toxic charge consisted of a closed tin which has a cavity in the side, closed with a bakelite plug. 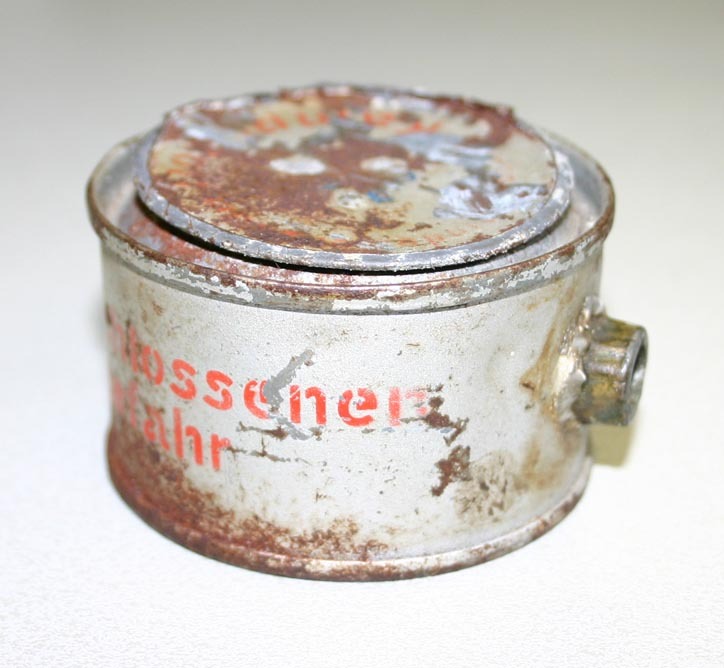 The can holds a small chemical filler which, internally, lays on top of a pyrotechnic charge. 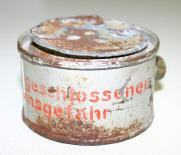 A friction/delay igniter tube is packed seperately, and fits into the cavity after removal of the closing plug. 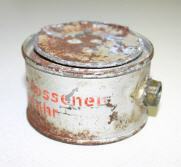 This plug is then used to strike the matchhead, to start the delay. 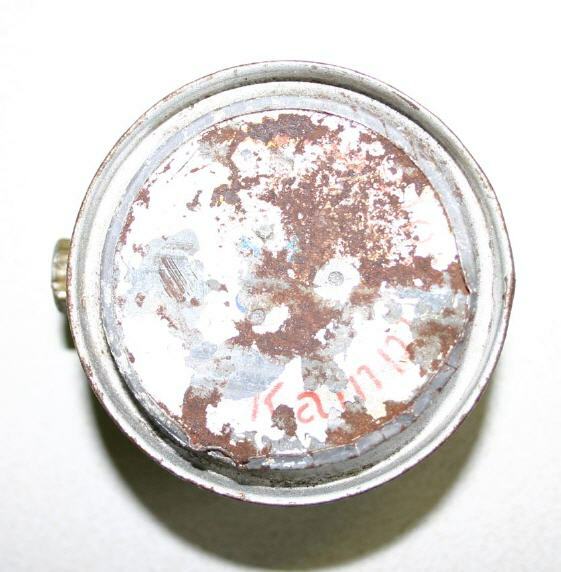 The ignited charge heats up the chemical filler and starts emitting gas through the small emission holes in the lid of the can. Diameter: 60mm , Height: 30-35mm. Information thanks to R.J Geval. 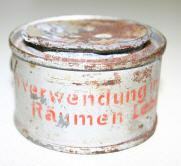 On the side: "Bei Verwendung in geschlossen Räumen Lebensgefahr"
On the lid: "Abstand mindenstens 10 m" and "Kampfstoff"
A small blue cross is visible on the lid of the charge shown below. 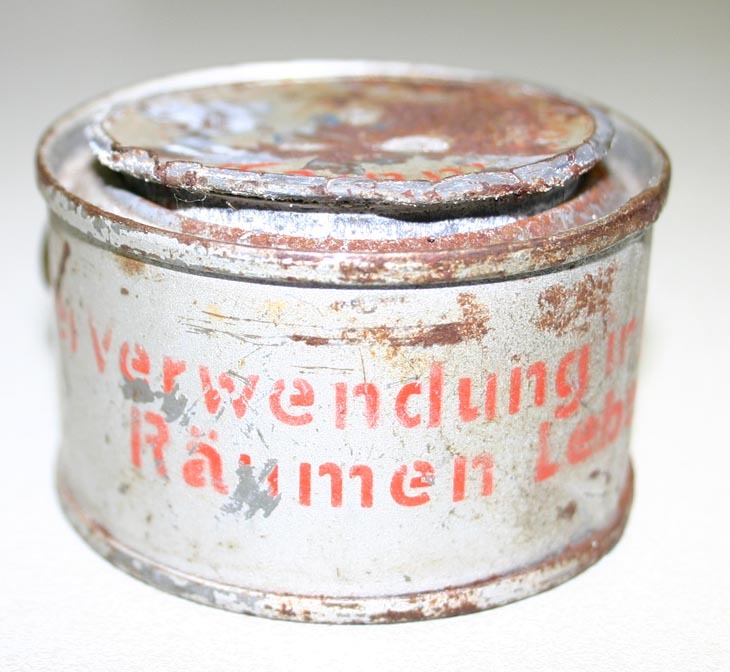 Click on the link to open the US file " German Training Generators "Riechtöpfe" [189 KB] ". It describes a full examination of four different types, documented in a Captured Technical Material Report written in August 1943. Text provided by W. Jordan.